I am a Professional Certified LifePurpose Coach who received training from Dr. Katie Brazelton of LifePurpose Coaching Centers International. I currently work with women to help them reach their personal and professional goals through awareness of their identity in Jesus Christ, value assessments, visioneering, planning, identifying obstacles and setting goals. I will cheer you on, challenge you and hold you (lovingly) accountable to what you desire. Six years ago, I dipped my toe in the water to help others reach their ministry goals. Since then, I have helped women grow their platform through coaching, managing social media platforms, marketing, consulting, book contributions and administrative needs. 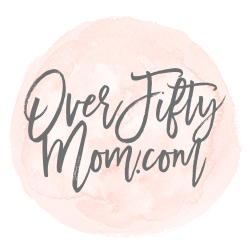 In addition to my personal ministry at OverFiftyMom.com, I serve as Creative Department Director for Cherie Zack, Fighting for Your Marriage and am Leadership Team Member for Jo Ann Fore, Women Leading Women. Some of my past experience includes serving as Ministry Assistant for Lynn Cowell, Proverbs 31 Author and Speaker. Ministry Assistant, Online Bible Study Manager, and Contributor to “Your Life Still Counts” by Tracie Miles, Proverbs 31 Author and Speaker. (in)courage Community Leader for “Mentoring Moms” and “Life Purpose Calling”. I am the owner of the Career Coaching Center a company that provides career coaching and recruiting services for apprenticeship programs. I am a certified Strong’s Interest Inventory Interpreter and use this as a springboard to coach students in writing Value-based Resumes, Interviewing Preparation, Life Skills 101 and Work Ethic Training. As a Career Path Developer I have the privilege to work as a team member with Associates for Professional Development in facilitating focus groups and working with Tier 1 Executives for a major airline and am a dedicated Career Transition Specialist to 25,000 front-line employees for a major health-care provider. I also serve as a Recruiter and Student Career Path Planning Developer. If you are interested in coaching services, please click my contact button, below.